There's a lot of truth to this quote. This was and still is how I feel inside sometimes. When I started my business 5 years ago, I knew I was meant for more than just being a stay at home mom and military wife. I had a desire inside me to really make a difference and be successful. I just had zero belief in myself. I had no self worth. 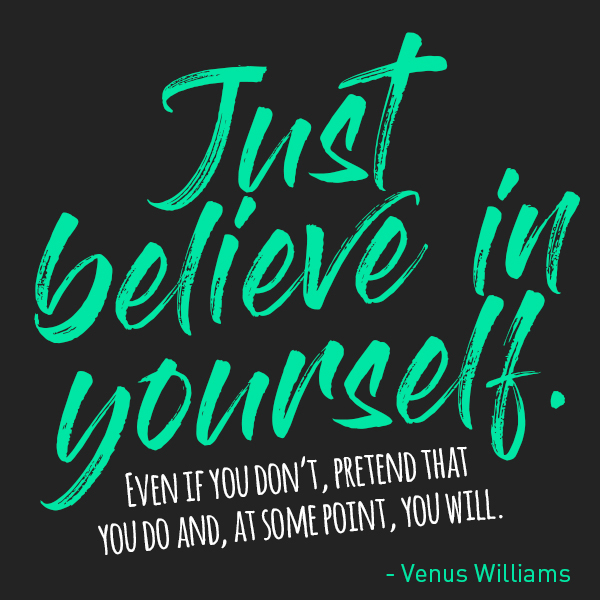 I had to pretend and borrow belief from others as I built myself up over time. I still struggle with this, but I have come a long way! You may not know but I have always been the odd girl out. I never really fit in in school and was obnoxious and loud and seemed to get in trouble for talking and laughing all the time. Rejection from peers in school happened for many years and that spilled over into life when several close friends hurt me deeply. I am a very forgiving person, but I don't easily trust once you hurt me. I feel like I have this expectation that a friend wouldn't like the real me and won't stick around for long. Or, they will hurt me somehow. I may be a bit paranoid, but my past has groomed those feelings in me. They are very real. My fear of rejection really impacts me letting my light shine and being genuine to who I am. I have come a long way and am starting to open up more and be true to myself and be who I am. I figure if God made me this way, He did so for a purpose and who am I to try to change it. In the last 5 years I have really pushed myself outside my comfort zone and made new friends and gone to events which has been very scary, but it's been the best experiences of my entire life. Fear was holding me back from really living and finding people who accepted me and loved me for me. That fear still keeps me at home more than it should and keeps me from doing a lot of social things, but I have come so far. I really have grown a lot. I'm sharing because I know I am not alone. I know many of you have struggled with rejection which leads to not feeling worthy of love and acceptance. Self worth and limiting beliefs will only hold you back from your full potential and who God wants you to be. If you don't believe in yourself, just know that we all love you and believe in you. Pull from that and use that to help propel you towards your greatness! You are fearfully and wonderfully made and you have value. You matter. The world needs you to be who you are. Believe in yourself because you were created to change the world!